Home / Blog / Building a Sales Funnel – 10 Ways to Deliver High Converting, High Value Customers! Building a sales funnel is not high on most sales people’s lists of things to do. Primarily because when it comes to chasing leads and chasing business – some sales people fail to see the wood for the trees.. Which means much of the time and energy poured into sales prospecting is just a waste of time. With a slight change in focus you can have a much larger return on investment on your prospecting time, and create a steady stream of high converting sales prospects. First thing to understand is – building a sales funnel is the key foundation for any and all success in sales. In fact, skills and product/service aside, I believe that building a sales funnel that delivers regular orders, high profit, good quality, high value customers is the single most important activity in any sales team. If so, then you’re wasting time and resources you’ll never get back. The only question you need to ask when chasing business so that you get a first rate sales funnel and sales pipeline is: Is this good quality business? Here’s 10 ways to stop you from falling into this trap from now on…and you’ll see why building a sales funnel is the fastest way to consistent sales success. Be very, very specific about the prospects you pursue and the prospects you court. Not all prospects are created equally. What’s the target prospect’s job function? How can you solve their problem BETTER than anyone else? If you can’t solve a problem you KNOW they have, walk away. In fact you can never research enough. If the prospect is worth the chase then it’s worth spending some time doing your research. Doing sales research on a prospect you’re not dying to work with is just stupid. Don’t do it. I like total immersion as a concept – find out everything. But, most of all, find out about what their aims, ambitions, drivers are and align your approach to speak to those drivers…it’s your prospect’s agenda you’re following, not your own. First port of call should always be…who do know that could make the introduction for you? If you’re working a vertical market or you’re in a geo specific area then you know most sectors are fairly well connected…can you benefit from that? If not, do you have a big name in the same sector as your prospect who might provide a testimonial or act as a case study? Let’s be honest here – you’re presumably chasing some big fry sales opportunities and equally large sales prospects – winging it just won’t cut it. You’ve got to distinguish your approach from the dozen plus prospectors doing exactly the same as you…plus the dozen or so prospects from associated industries. Different in how you engage…are you going to be one of the many in the prospector queue or are you going straight to the top? Don’t expect your prospect to come to you. Go play in their sandpit. And start thinking like a problem solver. Stop thinking about what you can sell them and start thinking about what problems you can solve for them. That means any approach you make at the prospecting stage is not an opportunity for you to sell…It’s an opportunity to display your expert insight and skills as a peer. So, you’re an equal from the beginning…suppliers they’ll have plenty of, a peer advisor with expert insight into helping them solve this particular issue is a different matter. It’s a big head change for you…but it pays short and long term dividends. Don’t get chatting with all the referrers and influencers because you’re getting knocked back by the main decision maker’s gate keeper…that’s the same as being in the eternal holding pen…tough to get out and full of too many of your competitors. The first skill is in attracting the prospect’s attention, getting on their radar. I like email, I like LinkedIn, I like doing my research so a two line email gets a response and a click to accept my invitation to connect via other channels. I don’t like 3 paragraph emails, corporate brochures, slide shows and videos in introduction emails. Your prospect doesn’t know you – don’t waste their time, it’s not a great first impression. Get 2 minutes on the telephone with your target prospect….that’s all you need. The longer the telephone conversation the greater the chance of it not ending in an agreement to meet. Why Building A Sales Funnel is SO IMPORTANT. Building a sales funnel to deliver the right type of customers and clients at the rate and value you need is the single most important thing you can do to solidify your sales performance. It’s a crucial factor in sales success, because building a sales funnel means you need to be smart. Super smart if you want to ensure you get the right type of prospects. Chase every prospect and you’ll be forever chasing. Make sure you have a solid sales funnel of well qualified high value, high converting sales prospects then you can chase whatever you like. You’ll have a strong base that will protect you and your business, your performance, your pay check and your reputation. Plus, building a sales funnel like this, where you carefully select who enters the sales pipeline and who doesn’t, well that’s a huge asset, now and for the rest of your working life. Stop thinking about building a sales funnel as a short term activity. You’re building your sales asset. You sales self will thank you for it…so don’t cut corners. Building a sales funnel today is the key to tomorrow’s success. 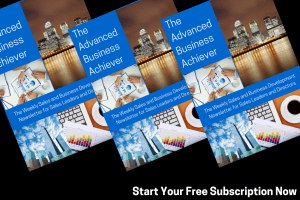 Plus – you can sign up for the Advanced Business Achiever. It’s a weekly sales and business development hints and tips service. Bite size to provide you with insights to improving sales and business development efforts and results. So, what can you do differently with regard to building a sales funnel that works for you, helps you deliver on your short and long term sales goals as well as creating customers at a predictable rate and profit? Building a sales funnel requires as much focus and effort as taking the sales prospect through the sales pipeline to order. 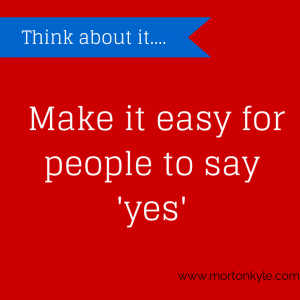 And if you’re not sure how good your business is at doing just that, check out the Morton Kyle Sales Audit, you get a diagnostic report, 30 Day Action Plan and a Sales Leakage Report, all within one week, so you can really get to work on ensuring your sales process is effective and efficient. The quality of prospects in that sales funnel and sales pipeline is a direct indicator of future sales and business success. This entry was posted in Blog, Business Development, Sales Funnel Creation, Sales Pipeline Management, Sales Training and tagged Building a Great Sales Pipeline, Cold Calling, Cold Prospecting, Filling the Sales Funnel, New Business, New Business Development. Strategy, Prospecting, Sales. Bookmark the permalink.